The question arose because I visited Bake At Home Pizza, in Fulham, London, and met Joshua, the managing director, who showed me round the pizza kitchen and explained the thinking behind his new company. Bake at home pizza isn’t a concept I’m familiar with, and it took me a while to get it: essentially, they prepare a pizza for you, and deliver it for you to cook in your own oven. No, not reheat: cook. There are no ovens in Joshua’s kitchens. Apparently this is a familiar concept in America, but a fairly new one here, and I’d certainly not heard of it. Still less that you could do this with gluten free pizza. Mind you, we can’t get any form of pizza delivered out here in the rurals, so perhaps my ignorance is not so surprising. Gluten free pizza delivered to your door sounded great, so I definitely wanted to investigate, and it was indeed interesting. 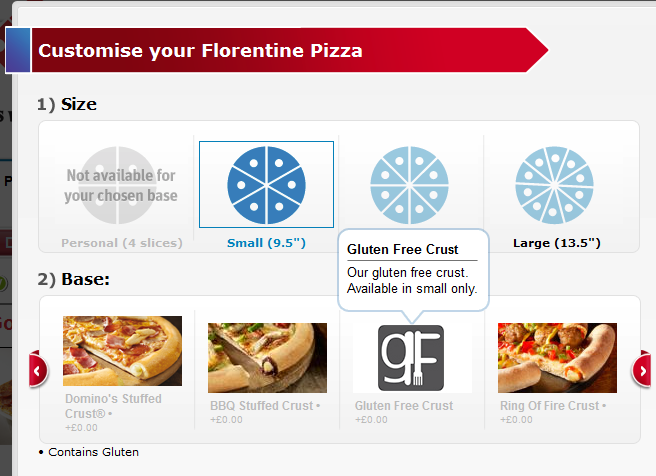 Even the gluten free option comes with choice of toppings – exactly the same range as the normal pizza, which is good to see. There’s only one size of gluten free pizza, but it is very thin crust, so you shouldn’t feel too greedy (though a whole one was too big for my slender fifteen year old daughter). Joshua has a dedicated area in his kitchen for the gluten free prep work, and a dedicated cabinet for the dough to prove in. I hadn’t realised that the normal pizza base takes 2 days to prove… the gluten free one is quicker, at 1 day. Once proved, the pizza base is created when the call comes, topped and delivered (limited range only for now: do check the website). Cleverly, the gluten free base is rolled out on parchment paper, supported by cardboard, and then clingwrapped (as it was in the proving-cabinet) before being put into the delivery bag. So when Joshua gave me 2 pizzas to take home for my daughter to try, there was no risk of the dough sliding around and crumpling up. There are full baking instructions on the delivery bag: remove the clingwrap and the cardboard – cook it on the parchment. Dead easy, as long as your oven is hot enough. No gluten free sweet options other than gelato at the moment, but if the demand is there, Joshua will consider it. Interestingly, about 5-10% of Joshua’s customer base asks for gluten free pizza at the moment (significantly more than the 1 in 100 statistic so often quoted), many orders are mixed (e.g. 2 ‘normal’ and 1 gluten free) and his customers are very loyal. Well, you would be: where else can you get gluten free pizza delivered to your home? I was impressed. The pizza looked beautiful when it was cooked; like a proper Italian pizza should. And the key question is: did the target market like it? Fancy a (gluten free) pizza tonight? Just thought I would update on the Oz scene, http://www.glutenfreepages.com.au/ has several good pizza shop options in Australia but one of the local ones we like most is Crust. They are a chain store .. which usually I would steer clear of… except these guys are a bit up market. And while price is always an issue with gluten free, these guys only charge a dollar or so more. For a long time after being diagnosed celiac I went off pizza because the GF crust was always so doughy and inedible, but seems like a few pizza shops are now getting it right (even if the majority of the pizza chains, including international, aren’t bothered about us as a market yet). PS I think pizza three nights in a row is OK as long as you can stand eating the same thing, and the toppings are nutritious enough. Eat what your body craves, within limits. 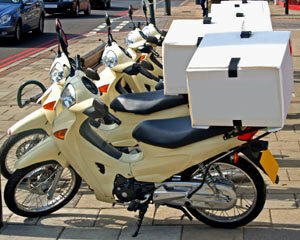 Hi – and thanks for the comment and link to information about pizza in Australia. I hear lots of good things about being GF in Australia!